After his first idea for the CIA was flogged by liberal bloggers, President-elect Obama picked Leon Panetta to head the nation’s top spy agency. But former CIA agents and Congressional Democrats are not thrilled with this choice either…. President-elect Barack Obama‘s reported choice of Leon Panetta, a former congressman and White House chief of staff, to head the Central Intelligence Agency has provoked sharp criticism from senior Democrats whom the White House will need to gain his confirmation. The Obama transition team did not return phone calls seeking comment on the nomination, which was confirmed by other Democrats and intelligence officials. An aide to the current chairman of the committee, Sen. John D. Rockefeller IV, West Virginia Democrat, said his boss had similar concerns. The criticism over the choice of Mr. Panetta follows nearly universal praise for Mr. Obama’s earlier major appointments and highlights the president-elect’s first bumpy patch. “I was not informed about the selection of Leon Panetta to be the CIA Director. 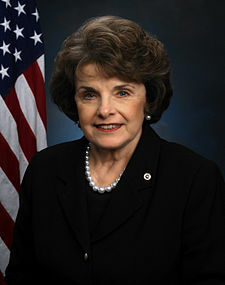 I know nothing about this, other than what I’ve read,” said Senator Feinstein, who will chair the Senate Select Committee on Intelligence in the 111th Congress. That seems to reflect the view inside the CIA, and suggests a tough confirmation hearing. You are currently browsing the archives for the John D. Rockefeller category.